The four remaining finalists: Cher Lloyd, Matt Cardle, One Direction and Rebecca Ferguson, must sing with a guest performer to avoid elimination on the first night of the final. The auditions end in Manchester with Nicole Scherzinger as the guest judge. Half of the contestants are eliminated; Cheryl makes two controversial decisions. Simon Cowell: [to a bad auditionee] You couldn't win this competition even if you were the only one in it! 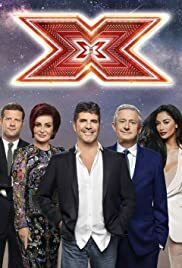 Recently "Nasty" Nigel and Simon Cowell were in court because the former (nothing to do with this show) was claiming damages off the latter for stealing the idea from Pop Idol etc to make this show. Of course to the majority of us this just seemed like an easy claim because, aside from legal technicalities over whether or not you can copyright a concept, the X Factor is clearly just Pop Idol etc in slightly different clothes (but not even that different). The court case was settled behind closed doors and everything went on as normal but we the viewers were still left with a show that continues to flog a formula that seems like it will never die. 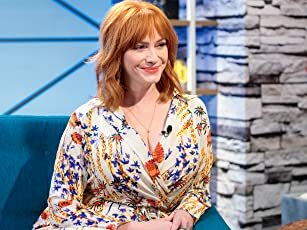 The X Factor is supposedly different from Pop Stars/Idol because it is about the people as well as the music; you know  that x factor that makes stars stars. Well, at least on paper that is what it is about but taking a look at it, it looks awfully like Pop Idol crossed with Popstars (groups and solo artists), with different judges, a new presenter and a slightly different approach (we see a lot more of the training as each artist is taken under the wing of one of the judges). It has nothing really original in it and, although the artists are supposedly got individuality (x factor) they still belt out cover versions; in fact series 1 winner Brookstein (praised by Cowell for his individual sound) was very quickly dropped from the 6 album deal he won because he refused to do an album of cover versions. Anyway, so much for that idea, so for the most part this is just another clone of the same formula. The music is nice, big, professional karaoke of hits that everyone can sing along at home to but it is all very dull and depressing if you are looking for more. The training camp may allow those of us that were adolescent boys in the 1980's a chance to rekindle our lust for Sinitta but mainly the way that the groups are split up across the judges is less about training and more about allowing conflict between them. The producers have realised that it is the judges that get the headlines and inject the character into these shows so here we have it pushed and endlessly stage-managed. They do this to extremes, this year having Osbourne throw water on Walsh, with the latter saying he has quit the show, only to return after a week of free headlines in the tabloids, stirring up the viewers and upping ratings (something they can't do with the bland acts themselves). Presenter Kate Thornton can't help us because she is just as caught up in the whole thing and comes across as there is nothing more important happening in the world than the results of the public vote  and maybe for her there isn't. Even after the vote though, the judges still get their say (which made me doubt their independence since both "losers" will belong to at least one of them), cue more pantomime booing, hissing and jeering in line with the whole idea of manufactured drama. Overall this is a popular show because the formula works for a lot of people. I won't demean them on this decision but I will say that it doesn't work for me. The judges stir it up the best they can and try to get headlines for the show and conceal how bland the artists themselves are but really this is just what it has always been  a big, obvious karaoke show that gives the masses something easy and hollow to watch on a Saturday night. Hopefully it will all come to an end soon but I suspect we'll continue to get the same formula with minor twists for as long as the viewers will watch it. My only hope is that one of those twists will be the inclusion of live, hungry bears, freely roaming the backstage area.